Exotic Design Stay is a gorgeous property in Gurgaons Sector 3. It is 12 minutes away from Gurgaon Railway Station and 13 minutes from nearest metro station, Chandni Chowk. Nearest attractions include Leisure Valley Park, Sheetla Mata Mandir, Kingdom of Dreams and Sultanpur National Park. 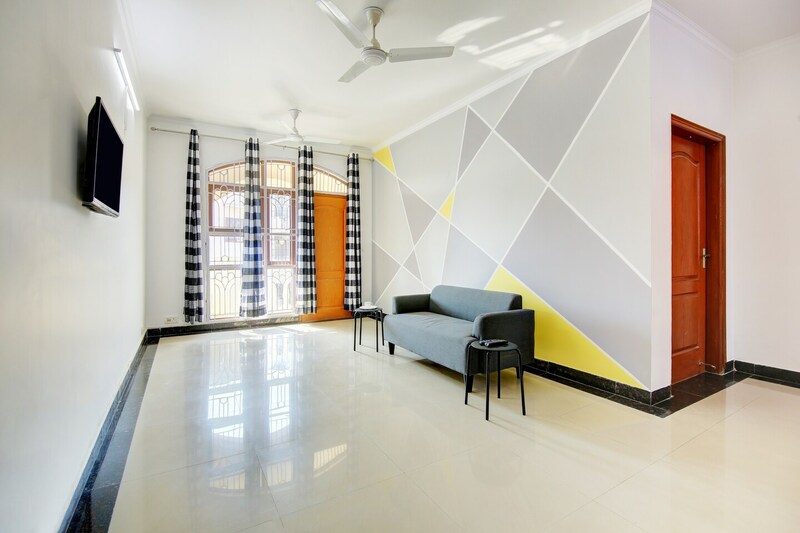 The decor style is contemporary and classy, with modern painted walls and tasteful furniture. The rooms are spacious with vibrant hues and have airy balconies, for your relaxation. The facilities in rooms are TV, AC, king sized beds and en-suite bathrooms with geyser. Power backup, CCTV surveillance, refrigerator, a kitchen and a dining area are other amenities offered. Malls close by are PVR Shopping Complex, Ansal Plaza and Gurgaon Dreamz Mall.